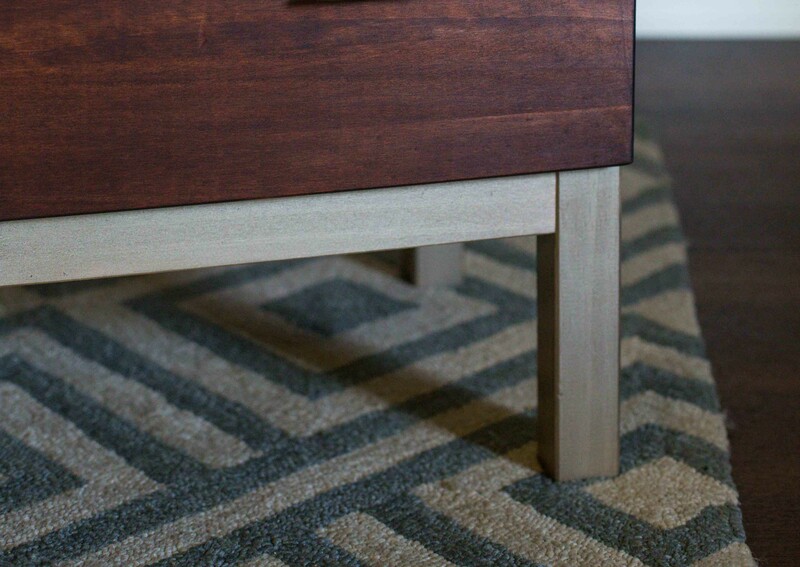 When we moved into our new place, I was so determined not to buy any furniture from IKEA. However…I realized since this is still a temporary place, and REAL furniture is REAL expensive, I don’t want to be spending a ton right now. 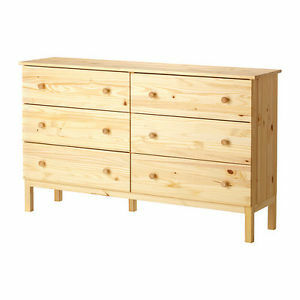 So when we were looking for a bedroom dresser, my Mother-in-law and I decided to try our hands at an IKEA hack ;). 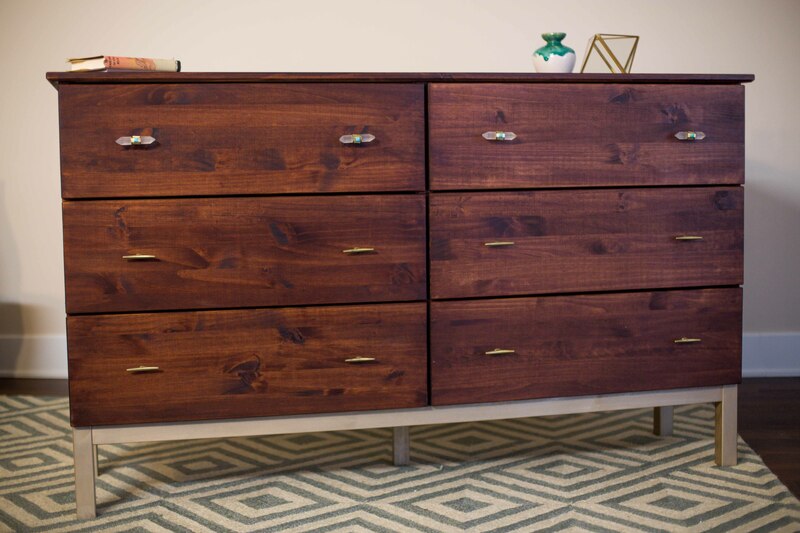 First, we picked a super basic dresser that was the size I wanted – the Tarva. 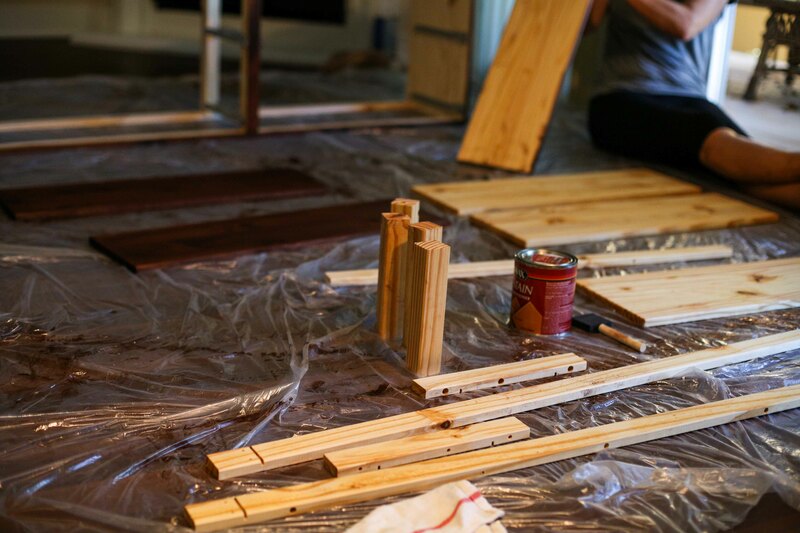 It’s raw pine wood, leaving lots of freedom for painting and staining the way you want. 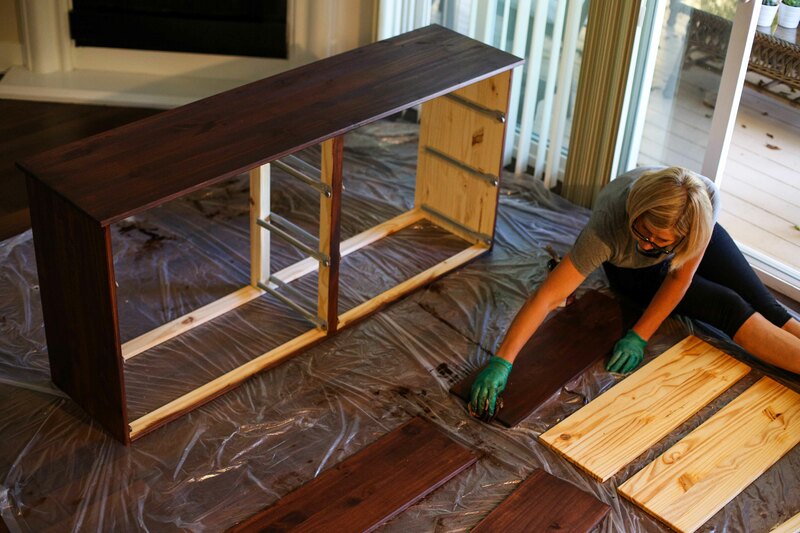 We assembled the dresser part way, leaving the legs, bottom pieces, and drawers apart for staining. 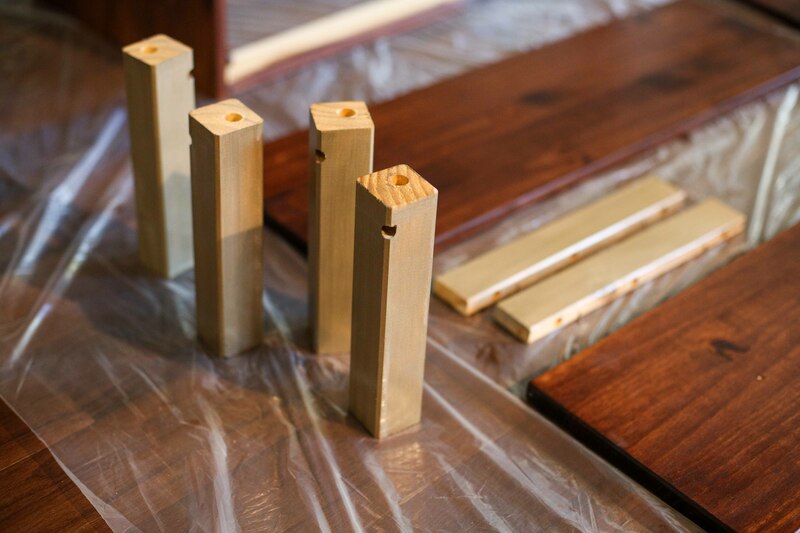 It’s important to condition the wood before staining it – the stain takes a lot better. 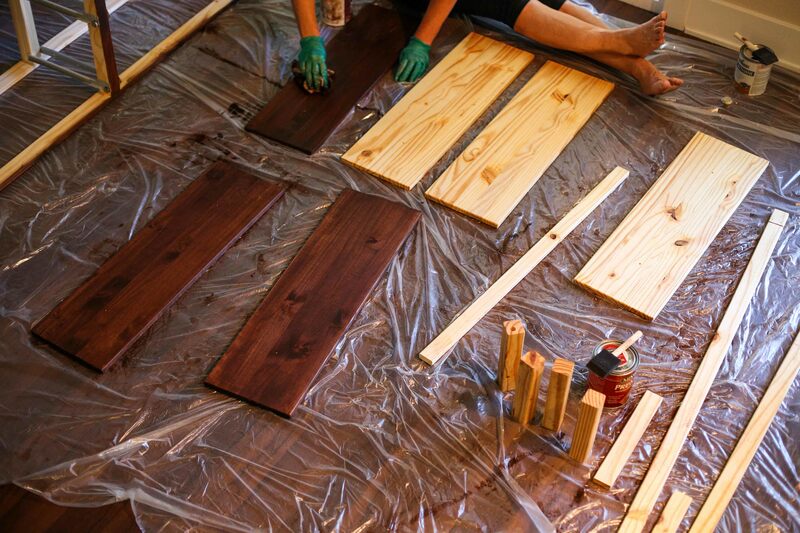 We conditioned the wood, waited about ten minutes, then stained the body and drawers of the dresser. If anyone wants to know what leggings I’m wearing here, they’re these from Teeki and they’re awesome ;). 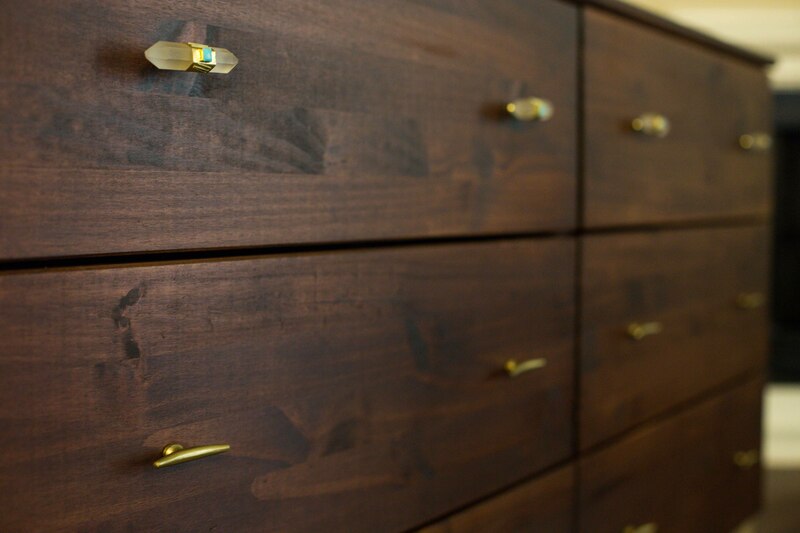 After staining, we wanted it to have a little bit more of a sheen, so we added a semi-gloss varnish over the top. Then it was time to pick new pulls! I headed to Anthropologie and came home with about 15 different options before making my final decision (they have so many good ones – scroll to the bottom of the post for more of my favorites I considered!). 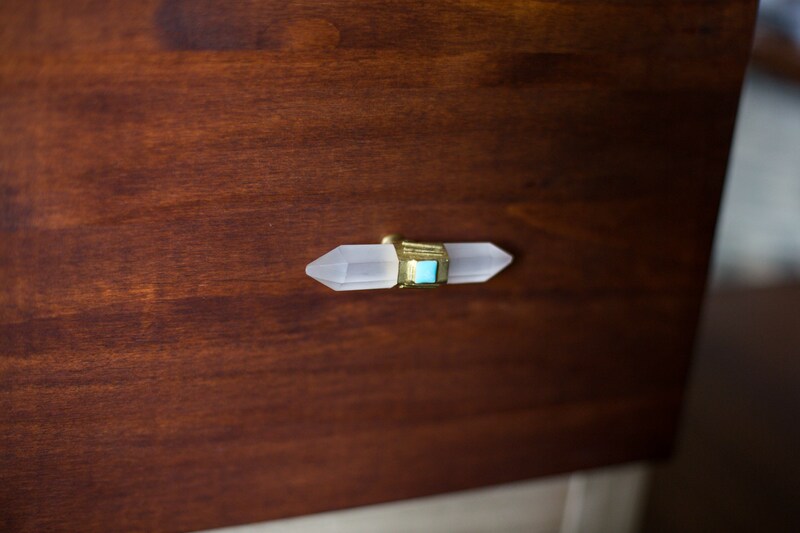 In the end, I chose to combine two different knobs – the Crystal Bar Knob and the Streamline Knob. 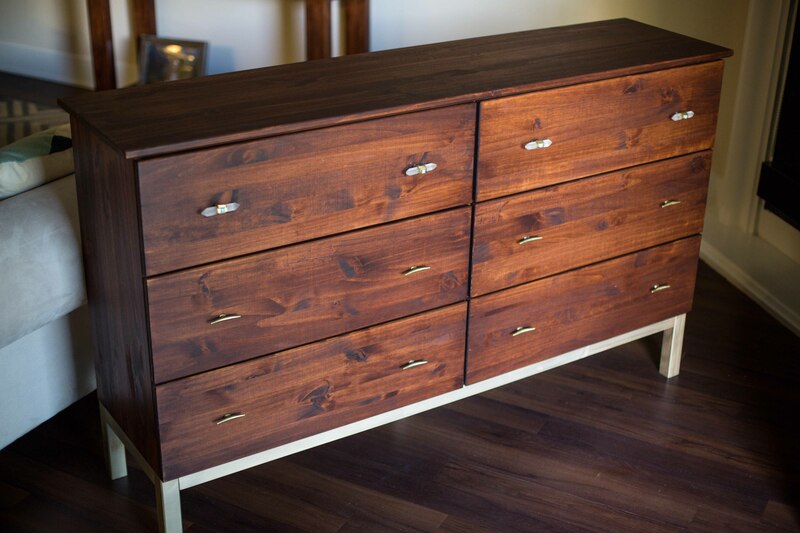 And here it is, our IKEA-hacked dresser…. 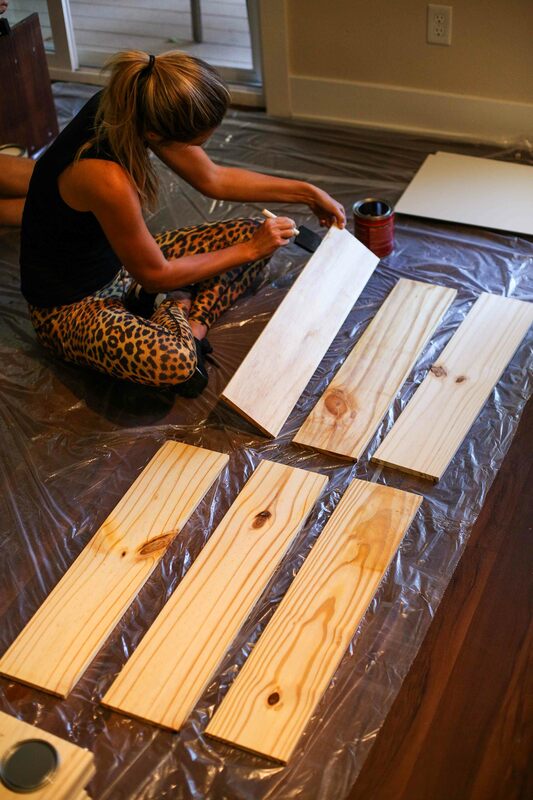 Have you done any IKEA hacks yourself?? I wanna hear about it!